Welcome! Here's how to find us. The Heritage Discovery Center is a five-story brick building that’s easy to spot from the road. 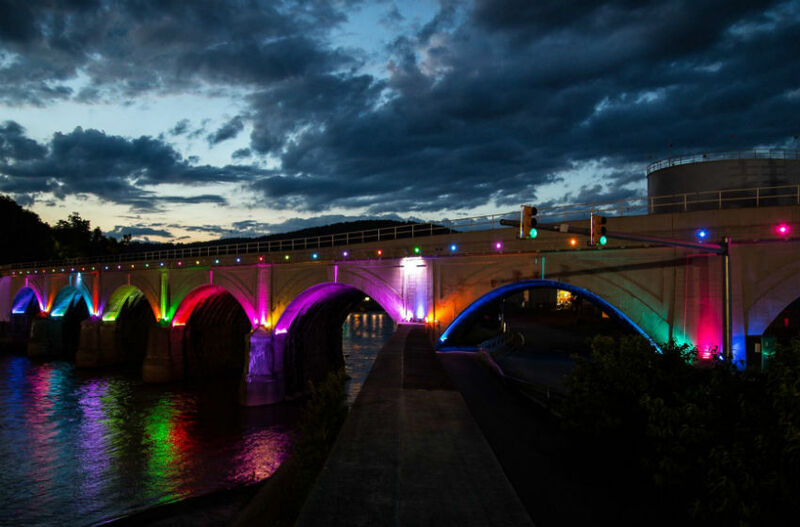 Its address is 201 Sixth Avenue, Johnstown, 15906; please note that the actual entrance to the parking lot is located at the intersection of Seventh & Broad Streets (Broad Street is also known as Rt. 56).The Johnstown Flood Museum is located a half-mile away at 304 Washington Street, Johnstown PA 15901; the Wagner-Ritter House & Garden is located a few blocks away at 418 Broad Street. 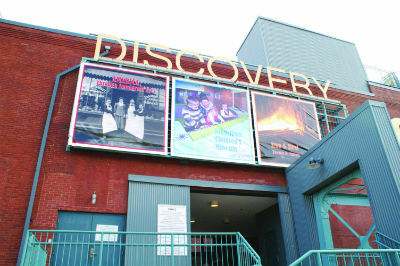 Here’s how to get to the Heritage Discovery Center. When you reach Johnstown, look for blue directional signs as pictured at right. 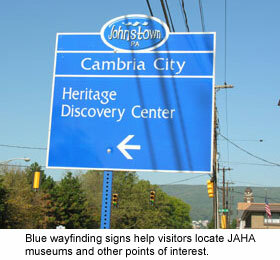 More than 70 such signs are placed throughout the Johnstown area to help visitors find their way to JAHA museums, public buildings, hospitals and other points of interest.